If you live in an older home, repiping might eventually become a necessary step in the lifespan of your plumbing system. We understand why homeowners are hesitant to take this step, it’s a long and expensive process and it often leaves you and your family members inconvenienced. If this is one of your concerns, it’s integral that you’re absolutely certain this is the right step to take. That’s where our team comes in. We have professionals that can assess your system and make sure that you’re the right candidate for a repiping job. Come to our team for all your piping needs in Bloomington, IL. 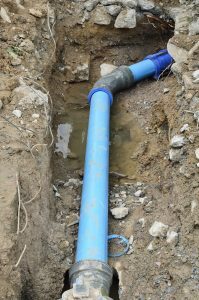 Posted in Plumbing | Comments Off on Is It Time for Pipe Replacement? 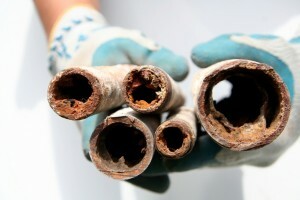 Plumbing pipes are built to last, but they don’t last forever. Even with regular maintenance and prompt repairs, the pipes will eventually need to be replaced with new ones. If you’re unlucky enough to be in an area prone to certain issues, you may end up having to repipe parts of your home earlier than you thought. Have a look below at some of the various problems that can prompt a need for repiping in your home. When Might Repiping Be Necessary? All systems can be broken down into individual components, and each system will have one component that serves as something of its most basic building block. In the case of a plumbing system, that building block is the pipe. From the supply pipes that bring potable water into and throughout your home to the drainage pipes that dispose of wastewater in an effective and hygienic manner, there is no denying the fact that the pipes in your plumbing system serve vital roles in your day to day life. If your pipes are no longer able to serve those roles reliably, then it may be time to consider repiping in Bloomington, IL. Posted in Plumbing | Comments Off on When Might Repiping Be Necessary?